Tilly and the Buttons: First Look at My Book! Ta Da! Here it is – the cover of my book! It has Breton stripes on the cover - YES. 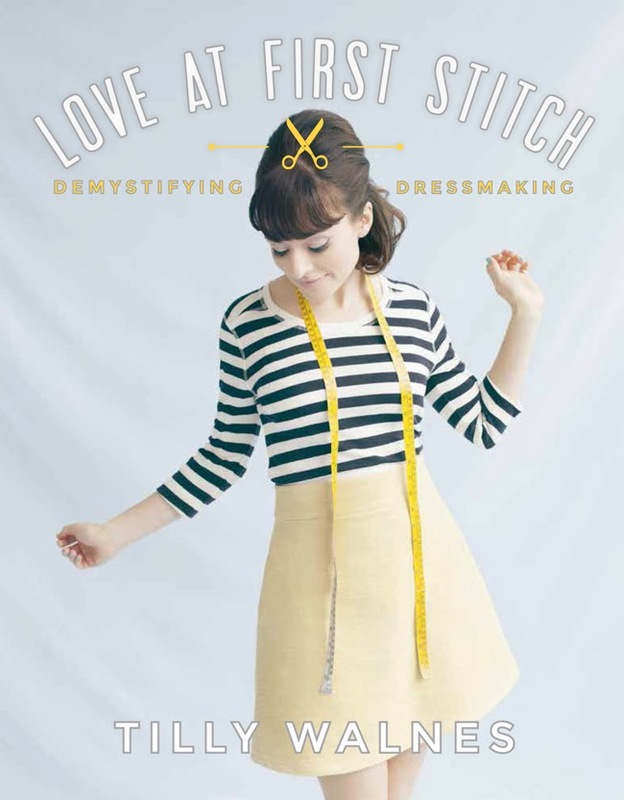 Love at First Stitch: Demystifying Dressmaking will be published by Quadrille on 8th May 2014, and you can pre-order it NOW! This is the book I wish I had when I began dressmaking – a book which I believe fills a real gap on the shelves. I own a lot of lovely sewing books – adorable beginner-focused books on making accessories and cushions; beautiful dressmaking books for people who already know how to sew; fantastic techniques books that are useful reference points when you get stuck on something... 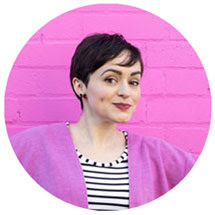 But I’ve never found a book I love that takes you from complete novice to confident DIY dressmaker – from the absolute basics of threading the sewing machine through to making a whole wardrobe full of gorgeous clothes you can be proud to say you made yourself. So I wrote it. 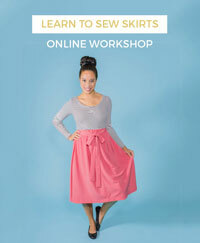 I worked really hard to simplify sewing so it’s enjoyable and un-intimidating for people who were never taught. The book is written in plain English, with all the jargon translated, plentiful colour photos to show you each step, and extra touches to take the head-scratching out of sewing, such as clearly labelled pattern pieces to help you visualise how the pieces come together to make a garment. Plus a can-do attitude and lots of encouraging words to keep you motivated! And it looks absolutely gorgeous! Fresh, modern and totally different to what you might expect from a craft book. When I told Quadrille I wanted the book design to channel the modern aesthetic and colour palette of the Jean-Luc Godard movie Le Mépris, rather than laughing in my face, they put together a Dream Team to do just that! The result is a stunner.